Press Club delivers the best in live entertainment every week! 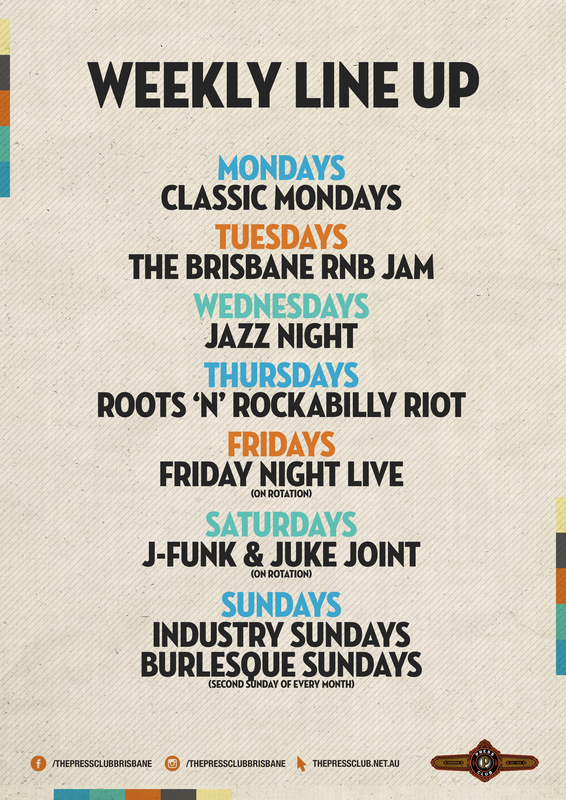 Enjoy live performances from Brisbane favourites 7 nights a week until late. Sink in to one of Press Club's intimate booths with a cocktail in hand and party the night away.